This salad is super quick to make and is packed full of goodness. 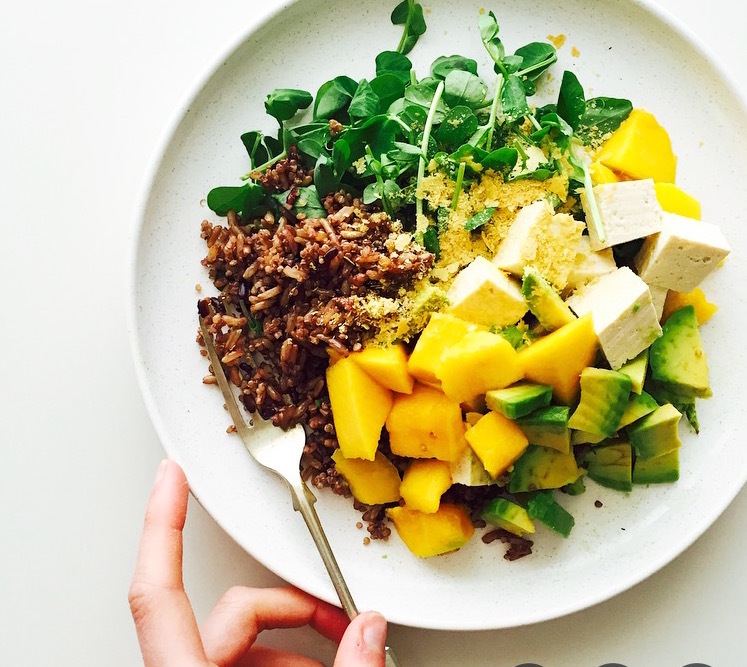 Tofu and quinoa provide a protein boost and coconut oil and avocado provide a healthy dose of good fats. The nutritional yeast is a great source of vitamin B12 and gives this salad a delicious nutty flavour. Recipe created by Charlotte Webber - Check out more amazing recipes on her blog Powered By Peanuts and her eye catching Instagram for more foodie inspiration!